Bridges Library System…2016 and beyond! The Bridges Library System, created in January 2016, consists of the Jefferson County (except for Cambridge) and Waukesha County libraries. Check out the Bridges Library System (formally WCFLS) and read our press release here. Before 1979, many Jefferson County (Wisconsin) residents did not have access to library service. 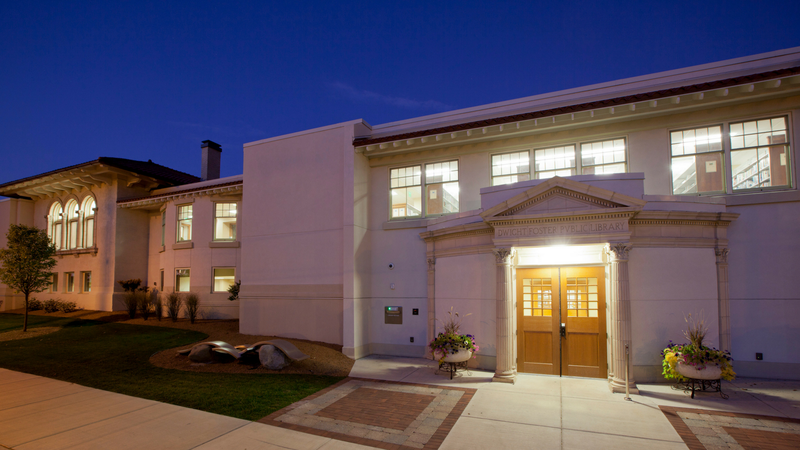 At that time the county had seven municipal libraries supported by municipal taxpayers. Most non-municipal, or rural, residents did not contribute any financial support. Some municipal libraries were beginning to charge non-municipal county residents a user fee. In early 1978 a planning committee was formed by the county to look into this and to make sure that all citizens of the county would have equal access to a public library. After lots of study, the committee decided that the best way to provide free, quality, equal-access, countywide library service was not to establish a separate county library but instead to ask the existing municipal libraries to extend their services to rural residents. In return, the county would levy a library tax and distribute the money to the municipal libraries as reimbursement for the service they provided to the rural residents. In order to avoid double taxation, municipalities already supporting their own public library are able to exempt themselves annually from the county library tax. This carefully designed plan established a taxation structure that is fair and ensures that all county residents receive library service in the same manner at any library in the county. The fact that the county library tax is not levied on all county residents means that the tax is not subject to state levy limits. A Jefferson County Library Board was appointed to supervise the County Library Service, and to act as liaison between the libraries and the county board. The county library board is comprised of seven members each of whom is appointed by the County Board of Supervisors. The county library board annually selects a Resource Library from within the county to help deliver coordinated county library services in the most efficient and cost effective manner possible. The director of that library acts as the Administrator to the board and performs tasks set forth in an annual contract between the county and the Resource Library. The Dwight Foster Public Library in Fort Atkinson currently serves as the county resource library. The county library administrator is Kelly TerKeurst. Once the Jefferson County Library Service was established and all residents received equal library service, Jefferson County was eligible to join a library system. 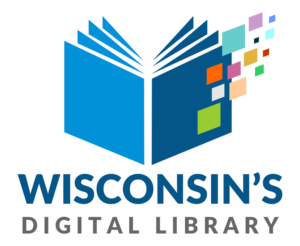 In 1980 it joined the Mid-Wisconsin Federated Library System. MWFLS, one of 17 library systems in the state, consists of Jefferson, Dodge and Washington Counties. Five citizens from Jefferson County are appointed by the County Board of Supervisors to serve as trustees on the MWFLS Board. Library systems were created by the Legislature in 1971 and are state funded. They exist under the supervision of the Division for Libraries and Technology (DLT) in the Department of Public Instruction (DPI). Library systems are single or multicounty regional units which exist to foster cooperation and resource sharing and to efficiently provide services and programs that improve local libraries. Eight of the nine libraries in Jefferson County are members of MWFLS. Cambridge, which is primarily located in Dane County, is a member of South Central Library System (SCLS). A good way to understand the relationships among all the library partners is to think in terms of three levels of service. The primary level of service is the municipal public library which is governed by a local library board and is funded by the local municipality for the benefit of the residents of that municipality. The secondary level of service is the county library service which is funded by a county tax and enables all the county residents to use any of the municipal libraries in the county. The third level of service is the library system. Systems provide services not offered by the municipal libraries. They are the vehicles by which the state communicates with libraries. In 2007, the MWFLS and Lakeshores Library System (LLS) joined together to create the SHARE automation consortium. This partnership merged the library catalogs of five counties: Jefferson, Dodge, Washington, Walworth, and Racine. In November 2014, MWFLS left the SHARE system to create trio, a consortium consisting of Jefferson, Dodge, and Washington Counties. Two state laws have significantly impacted library funding throughout all of Wisconsin. Effective in 2001, this act required counties to reimburse each library in the county at least 70% of the cost of library services provided to rural residents. This act came about because there were wide discrepancies in the level of county funding for libraries statewide. The 70% reimbursement was chosen as an absolute minimum level of support. In 1992 Jefferson County first met its goal of reimbursing county libraries at 100% of the average cost to provide library service to rural residents. Since that time the county library board is proud to say the county has maintained a commitment to this “fair share” funding formula, a commitment that has made a significant difference in the quality of libraries throughout Jefferson County. Maintaining that “fair share” funding level is critical to preserving a strong, healthy partnership between the county and the municipalities in support of local libraries. Effective in 2006, this act requires that counties fund libraries in adjacent counties for 70% of the cost of past use by its own rural residents. The rationale behind this legislation is that libraries should be as accessible as possible to all citizens of Wisconsin regardless of political boundaries and taxing jurisdictions. Because library service cannot be provided without adequate funding, basic compensation is needed to help libraries meet the needs of the citizens of Wisconsin.